There are some comic book characters that simply will never find their way into film. Take the Marvel hero known as Penance, for example. After inadvertently killing 612 people, Robbie Baldwin (formally known as Speedball) designed himself a suit with 612 internal spikes that would puncture him every time he moves and renamed himself Penance. That's right: he's the first masochistic superhero. One thing that Penance has going for him at least, however, is that he actually looks like a realistic character. The villain known as MODOK doesn't even have that luxury, but that's not stopping one of the Captain America writers from hoping that the character can enter the timeline at some point. Christopher Markus, who wrote the first Captain America: The First Avenger script with partner Stephen McFeely, recently told The Los Angeles Times that he would not only love to see MODOK enter into the Marvel Cinematic Universe, but has the perfect actor in mind for the part. After praising the character and saying that there's a "terrifying movie " that could be made with the villain, Markus said that he could see Peter Dinklage, Tyrion from HBO's Game of Thrones, in the role. "I will win you over to Peter Dinklage as MODOK," Markus said. "If he came around the corner and you saw him floating there you would be terrified. It would be amazing." The character was first created in 1967 and his name is an acronym that stands for Mental Organism Designed Only for Killing. 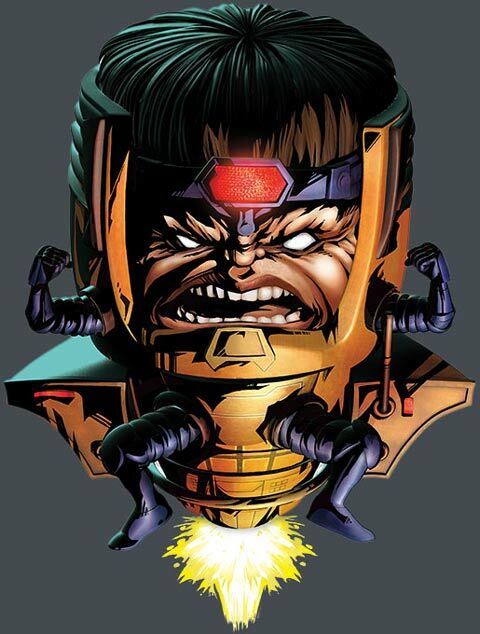 MODOK is typically drawn as having a gigantic head, small arms and legs, and sitting in a floating chair.